GSW's Weld Overlay Division offers a full range of superior weld overlay cladded products. 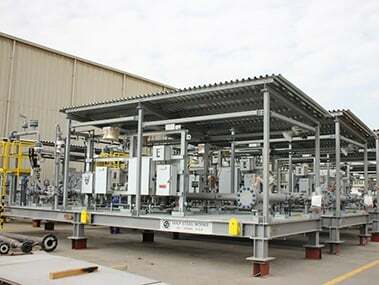 Skid Division offers a full specturm of skids, including custody metering, chemical injection, and surge relief skids. GSW provides specialised solutions to clients, as well as a design, detailing and testing (NDT) service. GSW is a leading fabricator and supplier of above ground and underground storage tanks and accessories. GSW provides complete design, detailing, fabrication, surface treatment, and supply and delivery of structural steel. 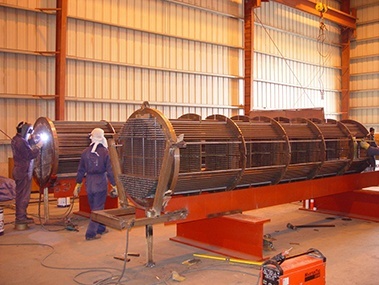 GSW provides a complete design, fabrication, assembly and erection service for clients on site.